What’s The Secret to Wood Preservation? I’m reading a fascinating nonfiction book, “The Lost city of the Monkey God,” by Douglas Preston, a writer for both National Geographic and the New Yorker. The book chronicles the expedition of archeologists, photographers, film makers, technologists and adventures to search for the lost “White City” deep in the Honduran Rain Forest. When they find what they think may be a cluster of cities in an area untouched for hundreds of years, possibly since 500 AD, what they find is foundations of buildings, there are no fancy pyramids of the Mayans or Incans. What the team realizes is that due to the ancient communities’ access to stands of mahogany trees. Their buildings were probably made of wood, which had disintegrated over the centuries. This made me think about all of our own wood frame and clad buildings in New England. We know that keeping water and mildew out of our buildings requires vigilance and regular maintenance. As usual, I wanted to know more about the science of wood preservation. Thanks to the “High Performance, Built In” article by James Mitchell Crow in the December 3, 2018 issue of Chemical and Engineering News (CAEN), I was introduced to the work of wood protection scientist Mojgan Nejad, researcher at Michigan State, I learned that “Wood is susceptible to mildew growth, [so] it is important to use biocides for wood protection.” She also noted in the article that the shift from solvent based formulations of paints and other coatings to water-based formulations that are more environmentally friendly, has meant that biocides are needed for the paint while it is in the cans. Untreated paint can spoil, resulting in a strong smell and lost viscosity, spread ability and adhesion. 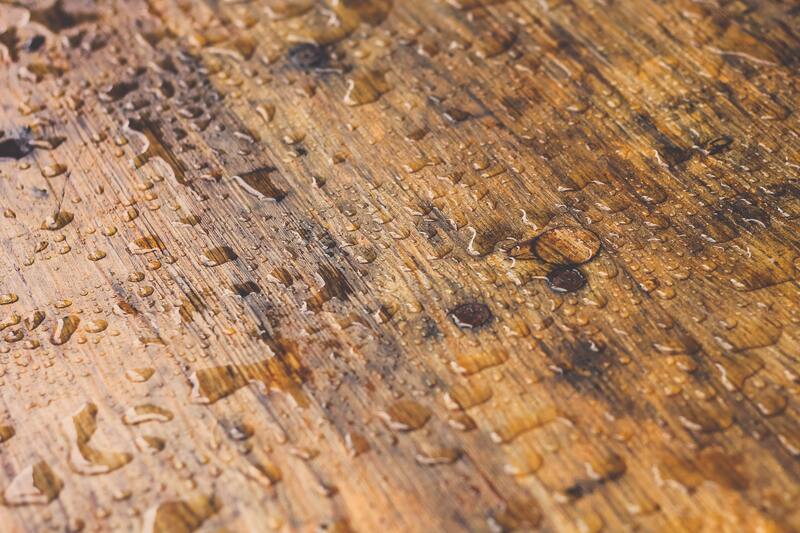 The latest biocides are encapsulated inside a water-soluble shell that slowly releases the active ingredient- better for the environment and better for longer lasting protection of the wood. Besides biologic attack, construction materials are susceptible to degradation from exposure to weather. Polyurethane coatings protect metal, wood and other structures from too much sun or rain. Mojgan Nejad has found in her research that “Most weathering deterioration that happens in wood is due to UV degradation of the lignin.” She explains that low-molecular-weight polymers in polyurethanes, can penetrate wood cell walls and stabilize the wood. Ms. Nejad’s work has shown me that the lost city in the rain forest of which the Hondurans had both the damp environment that generates mildew and the weather of strong rains, winds and sun, was a perfect environment for the demise of the wooden structures. But what happened to the people who inhabited these cities (estimated population of 700,000)? I guess you’ll have to read the book. Suffice it to say that wood structures have a fighting chance to survive now that chemists are on the case. As James Crow states, isn’t chemistry clever? If you want to design a project that can be built to last, give us a call. If you are as fascinated as we are by the intersection of art and science in architecture and interiors, please call. Let’s talk about how design can make life better.